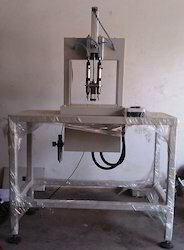 Pioneers in the industry, we offer automatic pick & place system and auto screwing system from India. By keeping track with the market development, we are involved in offering Automatic Pick & Place System which dependable solutions for production lines; our offered system is designed by our workforce using latest technology as per the set industry norms. Also, we also provide our system in customized solutions as per with customer’s requirements. This system is available from us at market rates. With the assistance of our team of professionals, we are offering Auto Screwing System. The offered screwing system is perfect to provide a screwing solution for many applications. This screwing system is tested against every set parameter to make certain default free range. Offered screwing system is available in various specifications and can be customized as per with the customer’s needs.